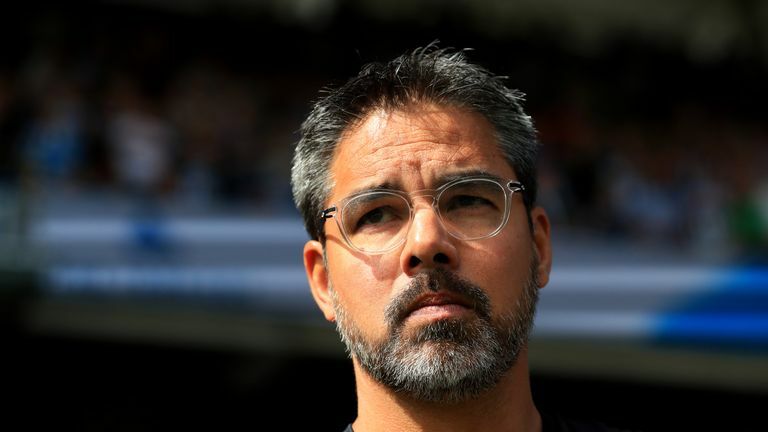 David Wagner says Denmark boss Age Hareide has apologised for saying Huddersfield's Mathias Jorgensen could play for a bigger club. Huddersfield boss David Wagner has received an apology from Denmark coach Age Hareide for his comments about Mathias Jorgensen. Hareide said Terriers defender Jorgensen could play for a bigger Premier League club during the international break this week and Wagner took exception. "Honestly, I was very disappointed and maybe angry as well when I read these comments," Wagner said. "We altogether know it wasn't his place to speak about this. But he has spoken with (Huddersfield sporting director) Olaf (Rebbe) and he called me as well and apologised. "He didn't want to say it how he said it at this moment and he knows this is not his business, as it is not my business to speak and judge how big Denmark is compared to other football nations. "I think it isn't his business to speak about the size of our football club. But as I said, he apologised and this means for me it is all good and we move on." Jorgensen played the full 90 minutes in Denmark's goalless Nations League draw against the Republic of Ireland in Dublin last weekend and was a substitute in the friendly win against Austria on Tuesday. The central defender's progress since joining Town for a reported £3.5m from FC Copenhagen in July 2017 will come under scrutiny on Saturday when joint Premier League leaders Liverpool visit the John Smith's Stadium. Liverpool striker Sadio Mane is doubtful, while fellow striker Mohamed Salah is nursing a muscle strain. Both players sustained their injuries this week on duty for Senegal and Egypt respectively, as did Naby Keita in Guinea's match with Rwanda, while Virgil van Dijk has also been struggling for fitness. But Wagner expects most of Jurgen Klopp's players to be fit and is wondering whether his close friend has adopted some kidology before their weekend reunion. "I've known Jurgen long enough and know he likes to use some smokescreens," Wagner said. "Don't believe everything you read. I expect most of his players to be on the grass on Saturday." While Liverpool bid to extend their unbeaten Premier League start this season, Huddersfield continue their search for a first win without several players of their own. Club captain Tommy Smith (groin), fellow defender Terence Kongolo (hamstring) and midfielder Danny Williams (knee) are all out, while Philip Billing (ankle) and Isaac Mbenza (knee) will be both be assessed. Huddersfield lost both league fixtures against Liverpool 3-0 last season while their last win against them was in 1959, three days before former manager Bill Shankly quit the Terriers to take charge at Anfield.